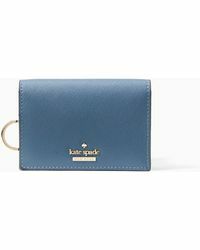 The Kate Spade world has created a colorful and endlessly happy environment for fashion geared women to embrace their stylish side. 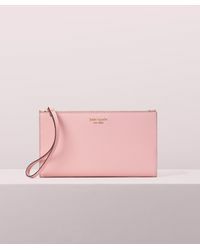 With their iconic handbags taking the world by storm it was only a matter of time before their wallets became the next big thing. 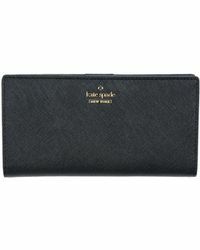 Focusing on bold, vibrant colors and exciting graphic prints a Kate Spade wallet symbolizes modern sophistication and chicness. 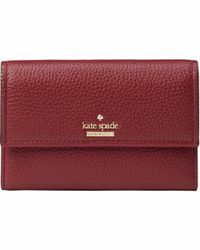 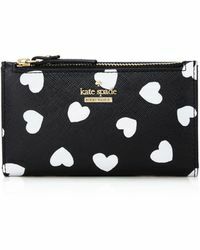 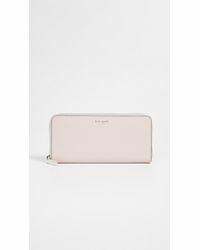 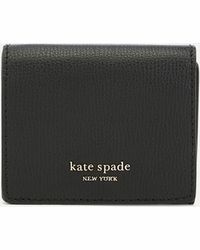 With a brand motto that invites women to live colorfully it's impossible to not smile when carrying a Kate Spade wallet. 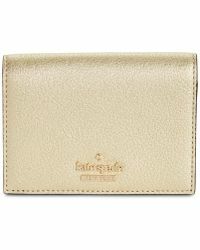 A worthwhile investment, each wallet is designed with high quality materials such as leather and 14-karat light gold-plated hardware ensuring its everlasting value.